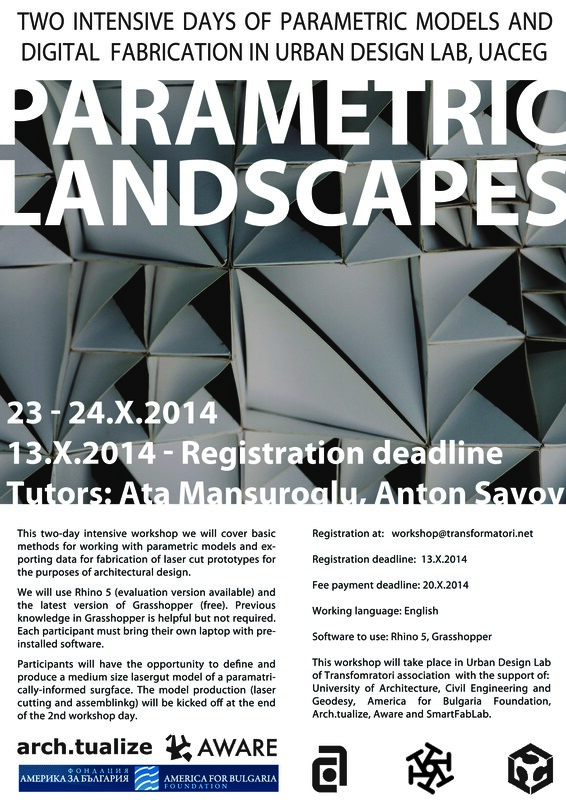 Two intensive days of parametric models and digital fabrication by AWARE and arch.tualize at URBAN DESIGN LAB. We will use Rhino 5 (evaluation version available) and the latest version of Grasshopper (free). 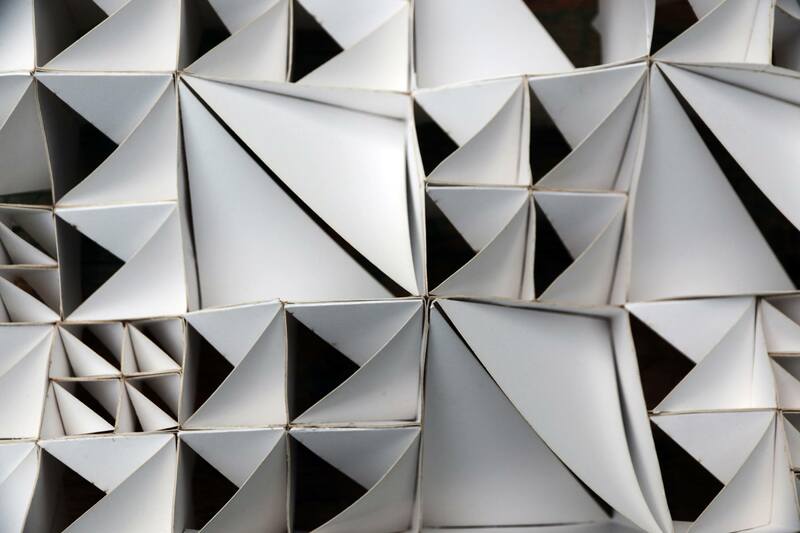 Previous knowledge in Grasshopper is helpful but not required. Each participant must bring their own laptop with preinstalled software. Participants will have the opportunity to define and produce a medium size lasergut model of a paramatrically-informed surgface. The model production (laser cutting and assemblinkg) will be kicked off at the end of the 2nd workshop day. University of Architecture, Civil Engineering and Geodesy, America for Bulgaria Foundation, Arch.tualize, Aware and SmartFabLab. Architecture made by the inhabitants. We send email updates on projects and research we are doing, usually two-three times per year.